Dr. Kyle Hurth graduated from the University of Illinois College of Medicine and completed both his residency and fellowship program at the Washington University. He is specialized in Pathology and board certified in Neuropathology and in Anatomic & Clinical Pathology. 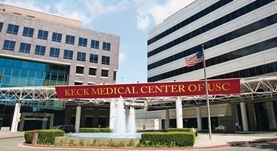 Dr. Hurth has been in practice for more than 6 years and is affiliated with the Keck Hospital of USC. During his career, he has also contributed to 5 clinical research publications. Dr. Kyle Hurth has contributed to 3 publications. Whipple's Disease Masquerades as Dementia With Lewy Bodies. Hurth, K.,Tarawneh, R.,Ghoshal, N.,Benzinger, T. L.,Clifford, D. B.,Geschwind, M.,Morris, J. C.,Galvin, J. E.,Schmidt, R. E.,Cairns, N. J.; Alzheimer Dis Assoc Disord. 2013 Aug 29. Gipson, M.G., Cummings, K.W., Hurth, K.M. ; Radiographics. 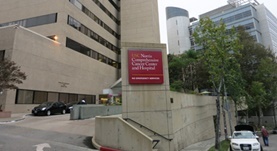 2009-09-01. Ligand-induced changes in estrogen receptor conformation as measured by site-directed spin labeling. Hurth, K.M., Nilges, M.J., Carlson, K.E., Tamrazi, A., Belford, R.L., Katzenellenbogen, J.A. ; Biochemistry. 2004 Feb 24.